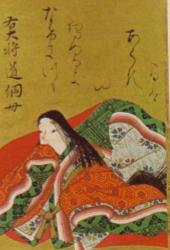 The Japanese female writer (diarist) and waka poet Michitsuna no Haha (Michitsuna’s mother) was born in 935 and she passed away in 995. Her writings, or diaries of truth and lament, highlight the trials and tribulations that she faced during her time on this earth. Indeed, her real name is not fully known but despite the often-trivial nature of her writing, her legacy is extremely potent. After all, she sheds a glimmer of light on the reality of her position during this period of Japanese history. Also, unlike the spurning of many individuals in modern times, irrespective if male or female, the power of religion is clear. Hence, during periods of great sorrow for Michitsuna no Haha, she dwelled seriously about becoming a Buddhist nun. This is a far cry from modern times where the vast majority of individuals don’t turn to the religious sphere in order to escape the trials and tribulations of life. Equally, her options of turning to Buddhism firmly shows the power of faith in this period of Japanese history. In other words, the sanctity of Buddhism and Shintoism was spiritually much higher in the tenth century – just like Christianity during the same period in vast swathes of Europe – in comparison to the soullessness of much of modern societies. Individuals can express too much – or, alternatively, reduce the writing of Michitsuna no Haha by focusing on the limited nature of Kagero Nikki. Yet, despite her own depressive personal emotions expressed in Kagero Nikki, she still overcomes the power and concentration reality of her life dictated by Fujiwara no Kaneie (the father of her son). Her despair is great but so is the love she bestows on her adopted daughter by Kaneie near the end of their relationship. Indeed, to care for another child, in the knowledge of Kaneie’s sexual traits with other women, is a sign of great maturity and strength. In a sense, it shows the shallowness of Kaneie, in comparison with women in waiting and then fading in importance based on the sexual behavior of the individual who is utilizing his power concentration. 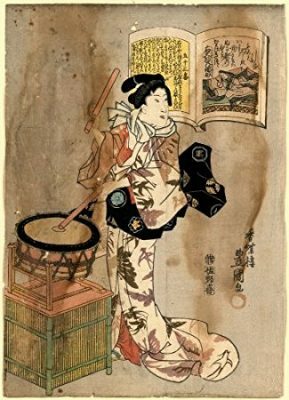 Therefore, the life of Michitsuna no Haha sheds some light on how females of a similar position at the Heian court had to overcome the male power processes of the day. Indeed, her love of her mother, son, and adopted daughter, highlights the negation of Kaneie’s power processes. After all, he never enters her heart in the same way, even during the early period the prince did not enthrall to the same level. 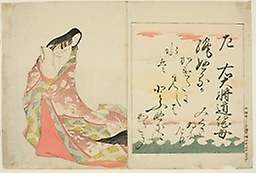 Hence, while it appears that women in a similar situation felt betrayed by the reality of the Heian court, the truth is that they built bonds of friendship and wrote poems to each other. Therefore, the real sense of loneliness in relation to emotions belongs to the person who had power concentration in his hands. Overall, irrespective of the limited nature of Kagero Nikki for individuals who seek a bigger picture, it does provide a valuable glimpse into aspects of the Heian court. Equally, views expressed by Michitsuna no Haha are far from the sexist illusion of female compliance and subservience – therefore, this is where her power comes to light! Click on the book icons for various books based on female Japanese literature.